I’ve heard much preaching on the subject of the afterlife. Very often it’s what people want to hear more than based on actual Biblical references. There are visual descriptions in a few passages, but pretty much nothing about what living life will be like. It’s one of those things that we should have faith about and not try to figure out. The Bible is Basic Instructions Before Leaving Earth. It’s not something that is meant to give us all the “rest of the story.” For all our curiosity, there’s just not a whole lot about the spirit world or the afterlife, just the bare basic facts. Heaven is real and beautiful, hell is real and horrible. We will all have bodies suited for eternity, whether our eternity is spent in heaven or hell. In heaven, we will have homes and jobs, all revolving around worship. Outside of that? Much of what we believe is based more on conjecture than Scripture. God doesn’t have to give us all the details. It’s like when want to surprise your kids with a trip to Disney – and when they’re packing, they won’t stop asking you “Where are we going?! ?” but you just say “Trust me.” You know it’s going to be awesome and blow their minds. You want the satisfaction of taking them all the way to the gates and seeing their eyes get HUGE as the reality of their fortune sinks in. It wouldn’t have been HALF as fun if you’d have told them ahead of time. God likes to hold things in store as surprises for us. He could tell us the whole plan right now, but what fun would that be? He wants us to love and obey him because we want to, not just to “earn our trip” to heaven. And he wants the joy of seeing us in our first moments on his side of eternity…with huge eyes and full of awe-struck wonder. 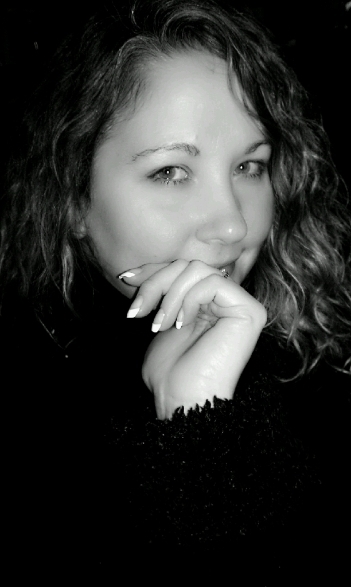 Mikayla Kayne enjoys writing and performing with her husband Gregory, homeschooling their three sons, and encouraging others. She spent fifteen years in marketing and advertising before choosing to be a stay at home mom and discovered her love of writing and teaching. 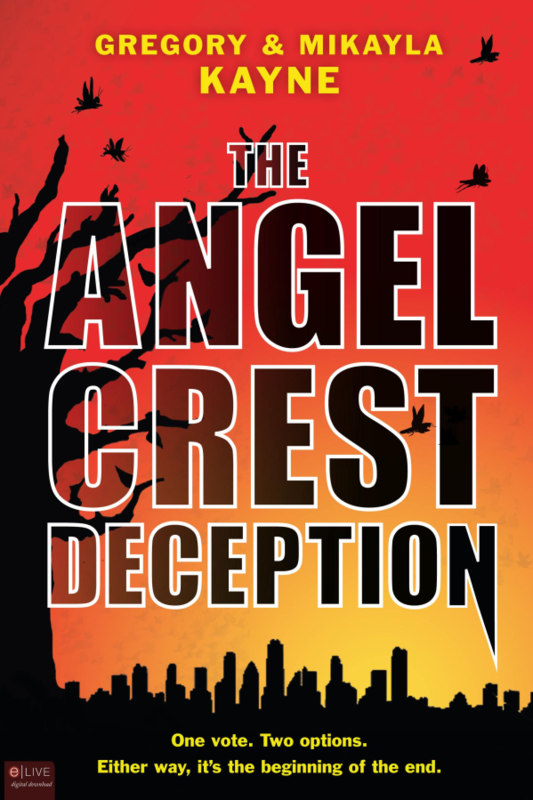 The Angel Crest Deception is the Kayne’s first novel, released this August by Tate Publishing. This edgy near-future conspiracy thriller follows agnostic media producer Chris Malone as he sets out to destroy the career of a pompous religious figurehead. Will he be able to deliver the scathing exposé or will he get sucked in by the secret world-shaping group that just bought his old network? How I became a writer?